will turn your bagpipe and drumming music into professional looking manuscripts! 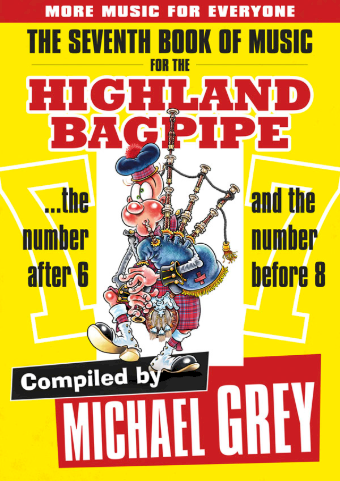 This affordable Windows program allows you to key your favourite bagpipe and drum music into the computer and print and play that music back at any time. No complicated codes to master. Cut, copy and paste editing. Create CDs from the output. 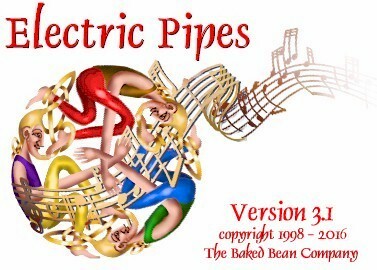 With Electric Pipes 3.1 you can play pipes, drums or organ scores simultaneously, either all in one score or in multiple scores allowing a full band arrangement to be played. It really is your "Band in a Box! Site Map Click image of the book to order your copy. to typeset his 7th book of music.